On Monday 26 March, Greetings from Aleppo won the prestigious DIRECTORSNL AWARD for best short movie. 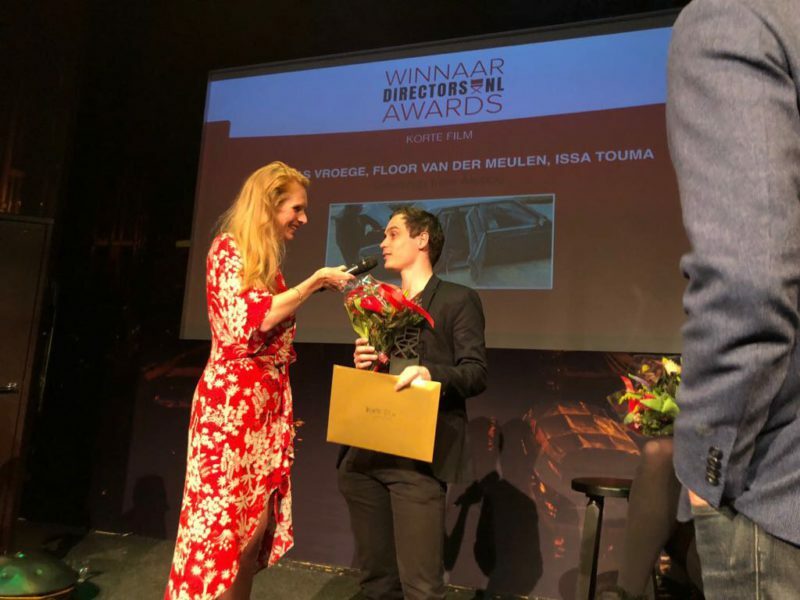 Paradox congratulates its makers Issa Touma, Thomas Vroege and Floor van der Meulen! The DIRECTORSNL AWARDS are hosted annually by the Dutch Directors Guild. More than 2000 directors in the Netherlands voted for the most outstanding directorial achievements of 2017. During the festive ceremony at Boom Chicago in Amsterdam, Thomas Vroege accepted the award for best short film. Other winners include Echoes of IS/Tessa Pope in the digital storytelling category, Brimstone/Martin Koolhoven for best feature film and Liefde is aardappelen/Aliona van der Horst for best documentary. Greetings from Aleppo is an homage to the resilience of the Syrian people who try to go about their everyday lives in a war-torn city. Between 2014 and 2016 photographer Issa Touma captured everyday encounters in his hometown Aleppo. He filmed everyone from car lovers driving their polished classic cars through the devastated streets to girls giggling about the way the media report about the situation in their city. After premiering at the International Film Festival Rotterdam in February 2017, Greetings from Aleppo was nominated for the L’OR Gouden Kalf Competition and won a DIG Award. The film is available on De Correspondent (Dutch subtitles only). Cover photo by Mirjam van der Linden.